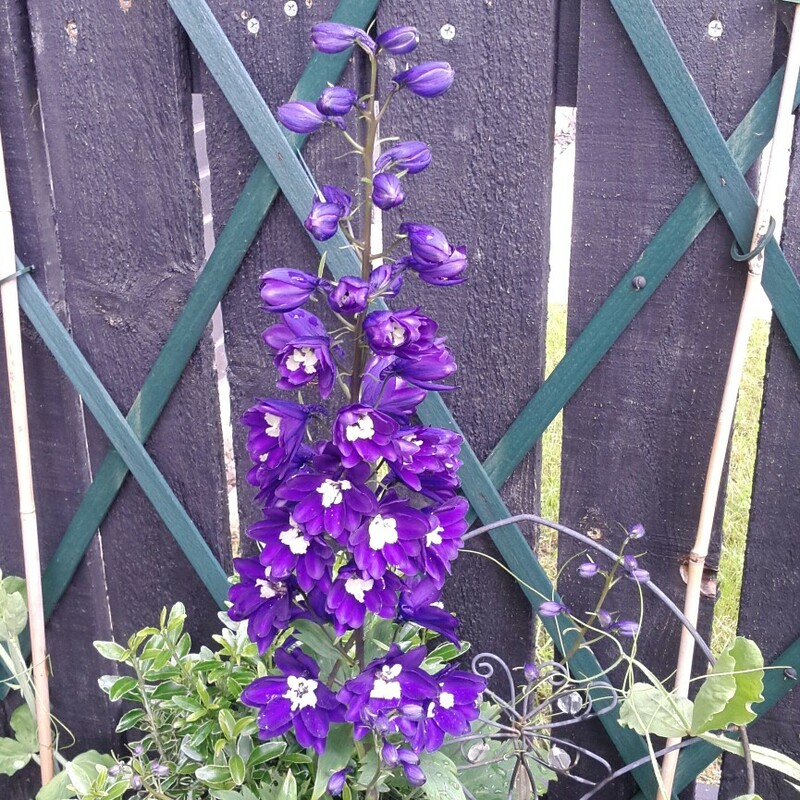 Deep purple flowers spikes with white and black centres. 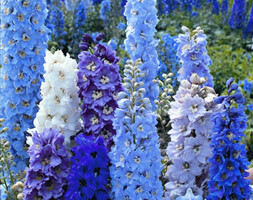 Care should be exercised when handling all Delphiniums as they are toxic to humans and livestock. 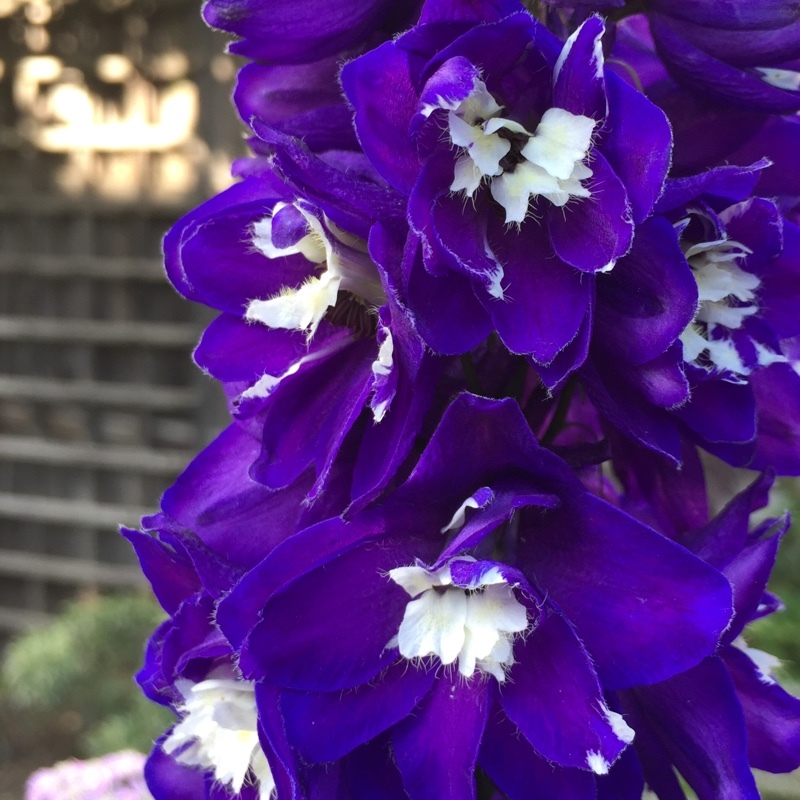 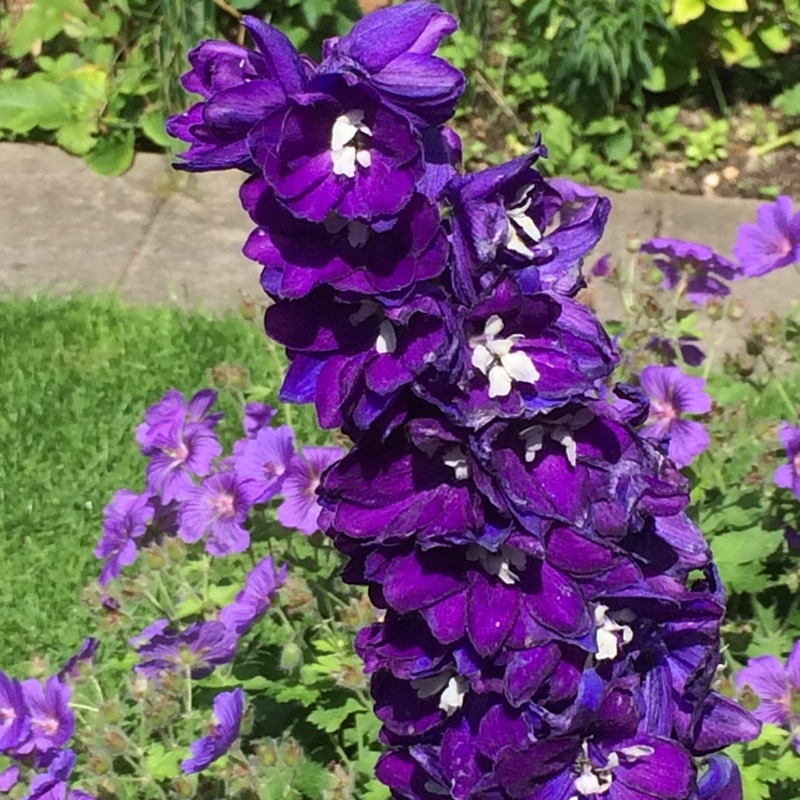 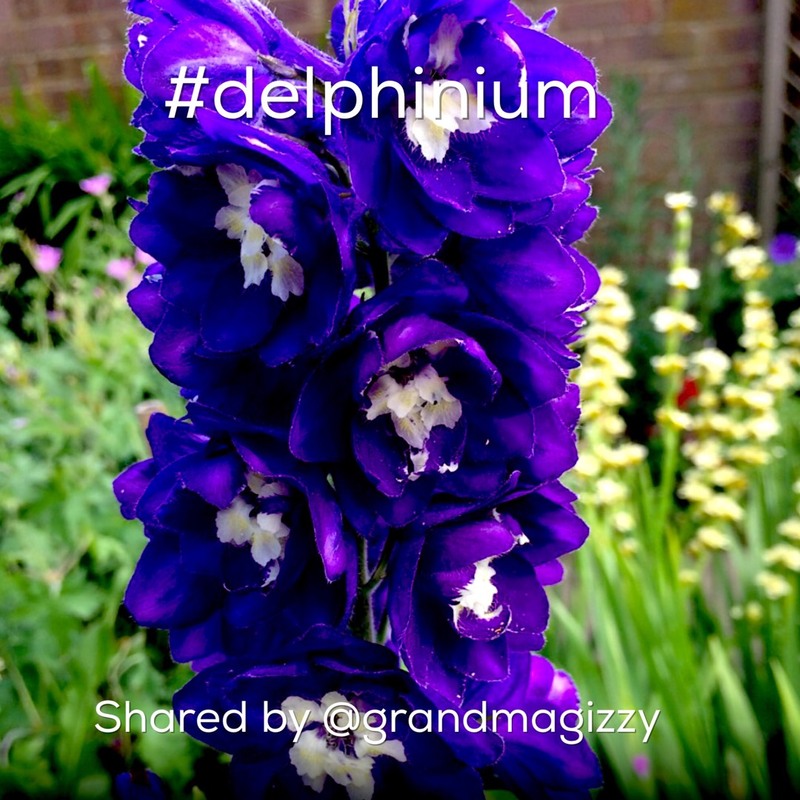 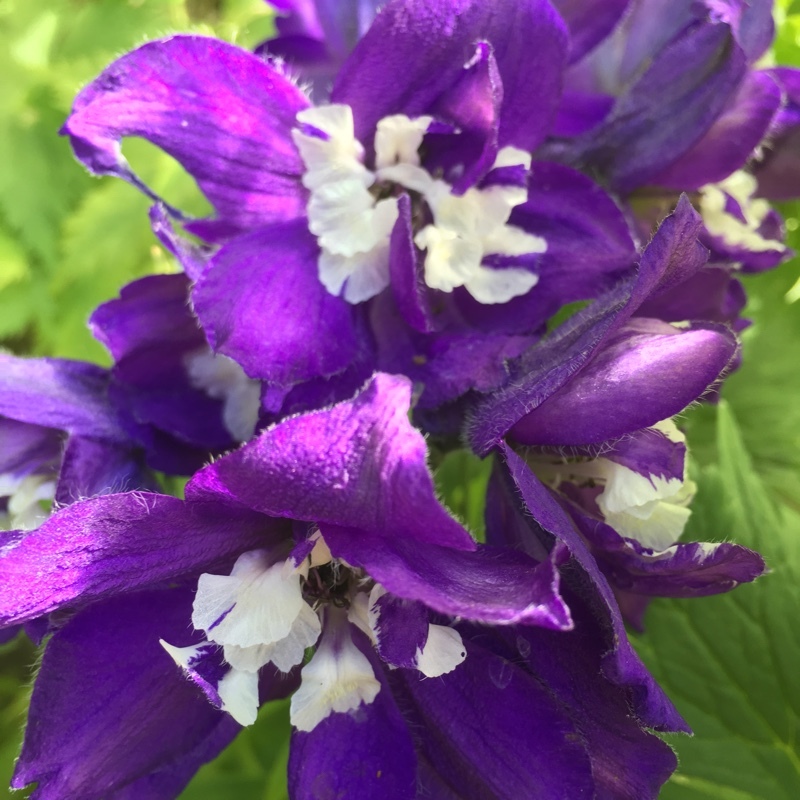 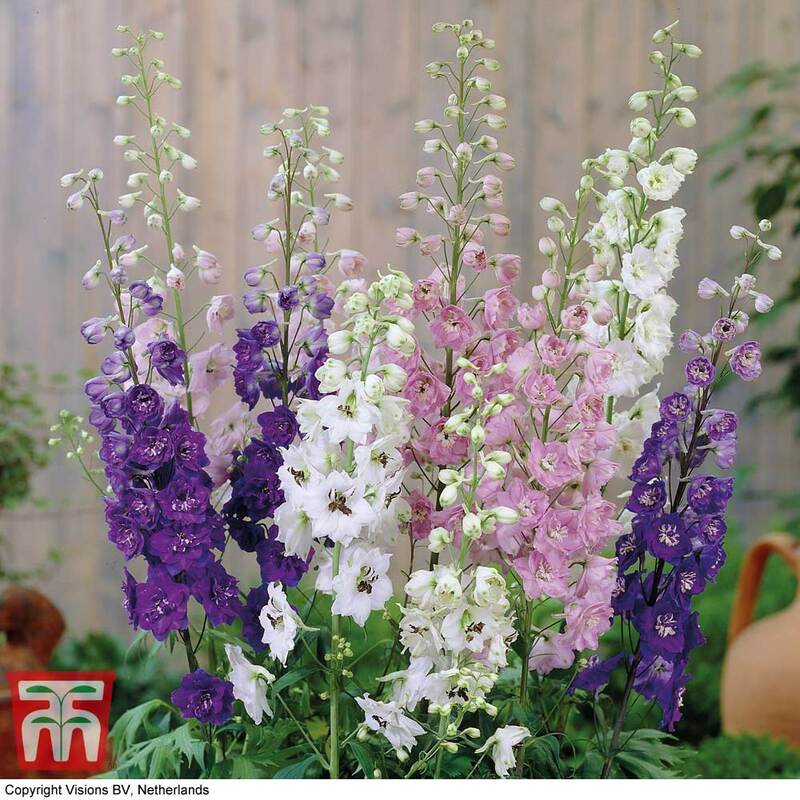 Delphiniums are perennials grown for their spikes of summer flowers in shades of blue, pink, white, and purple. 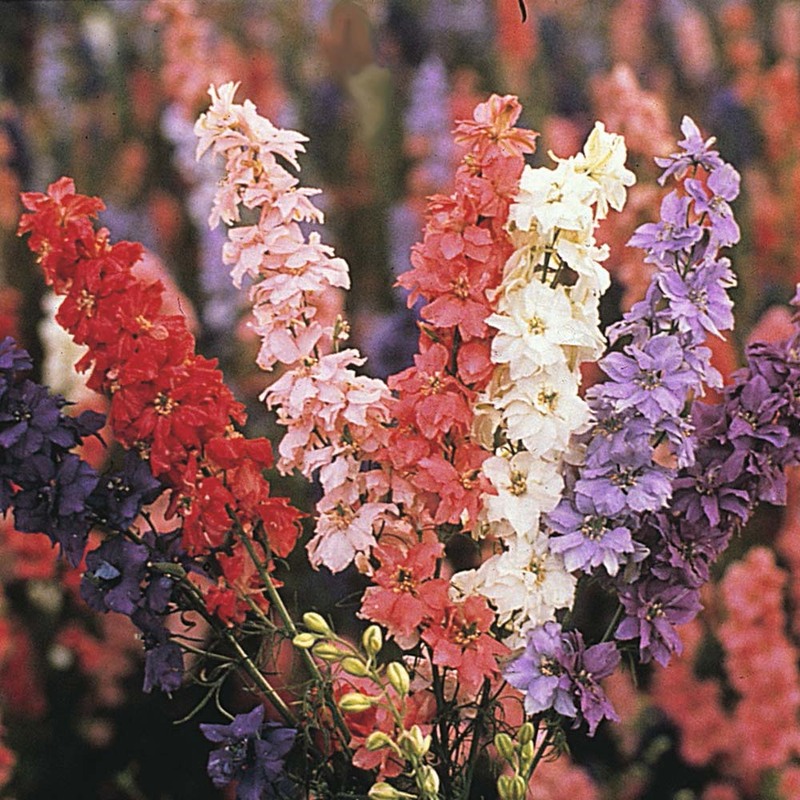 They have been grown in cottage gardens for many years. 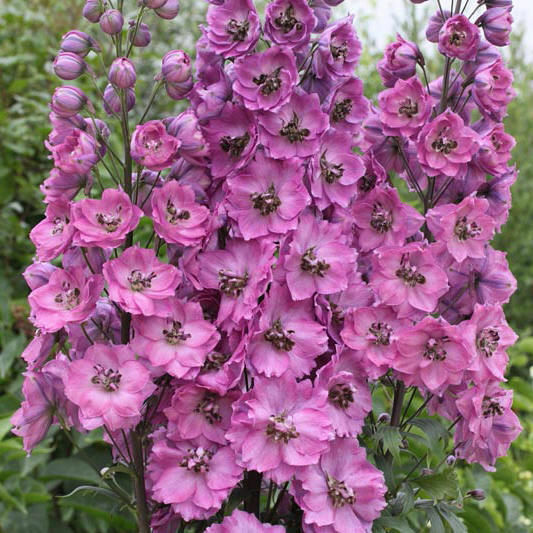 They are not easy to care for, prefering moist, cool summers to hot, dry summers. 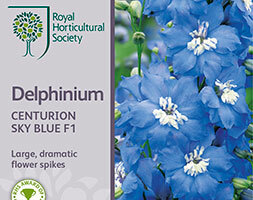 The plants also dislike wind and heavy rain and apart from the dwarf perennials, most delphiniums need staking. 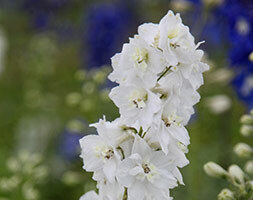 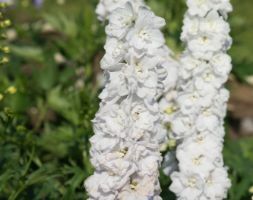 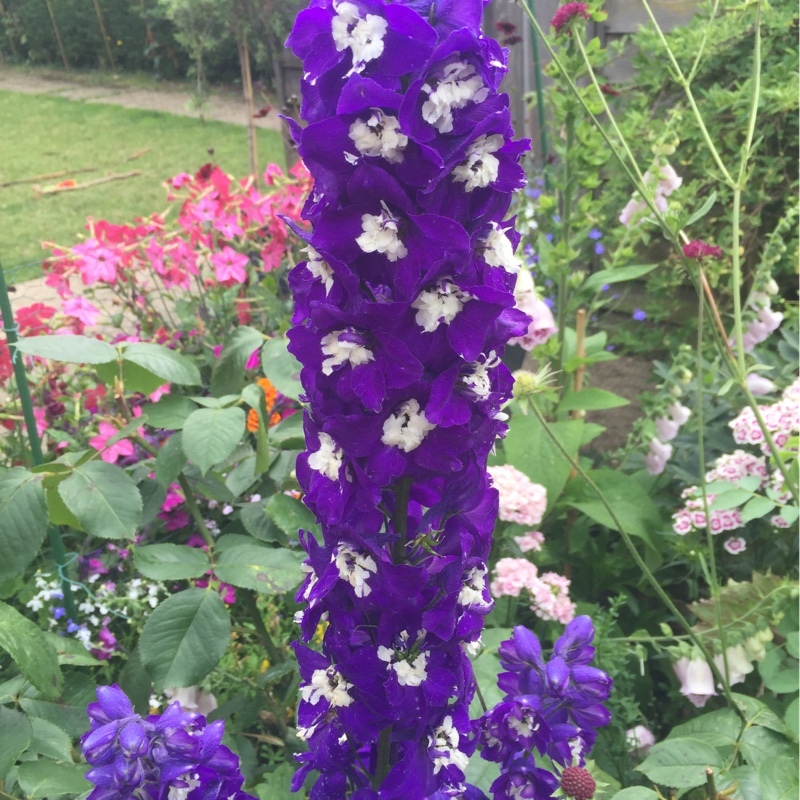 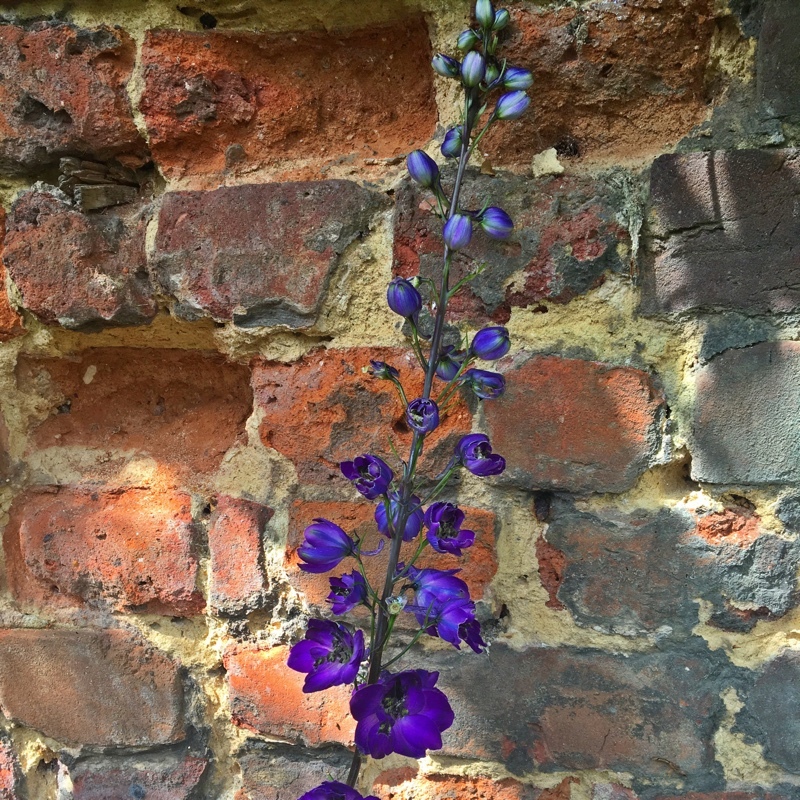 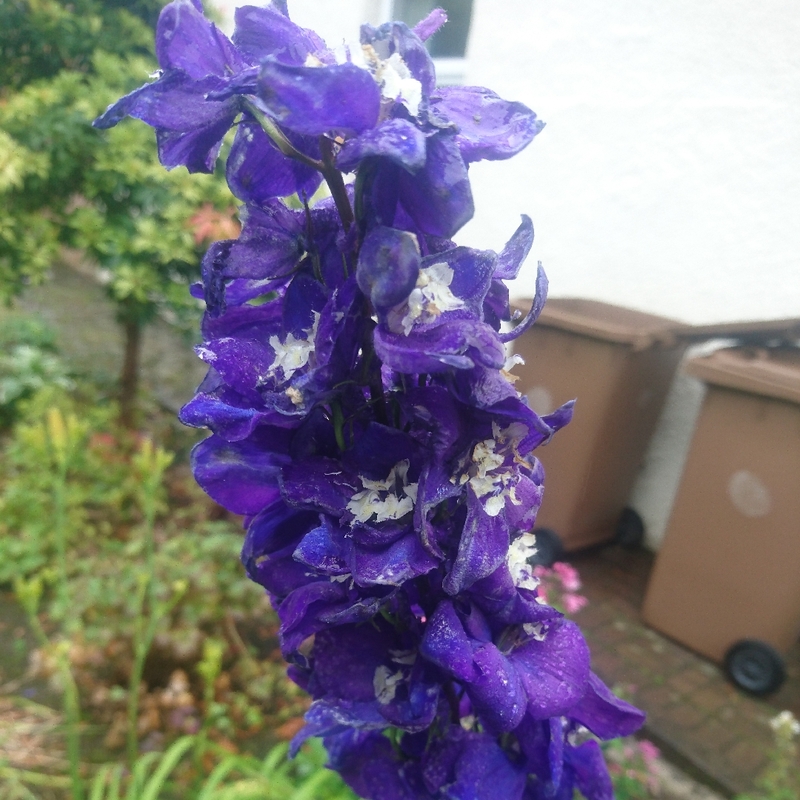 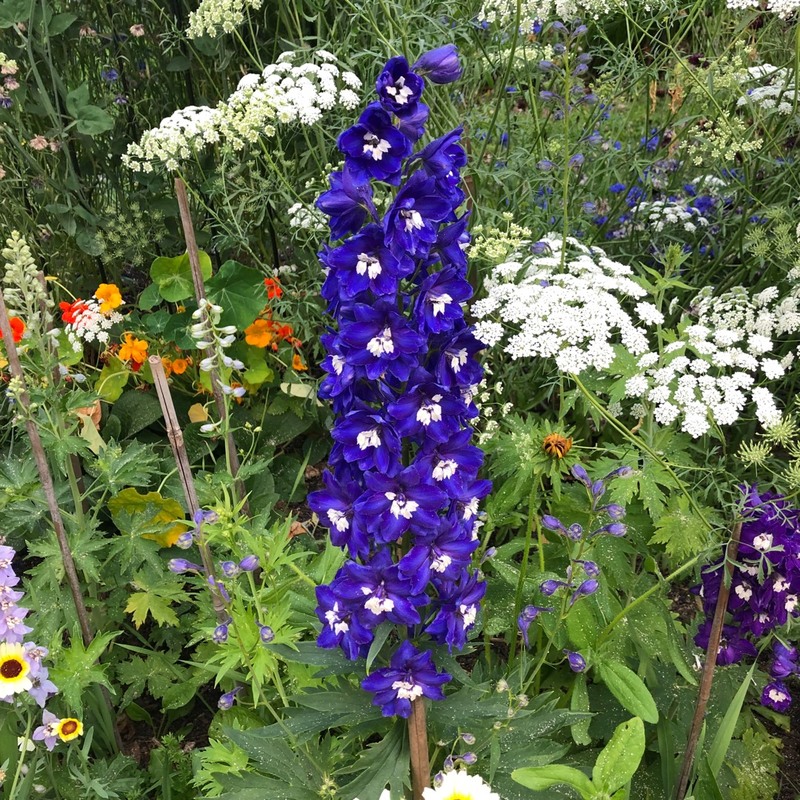 Delphiniums are very difficult to grow from seed. 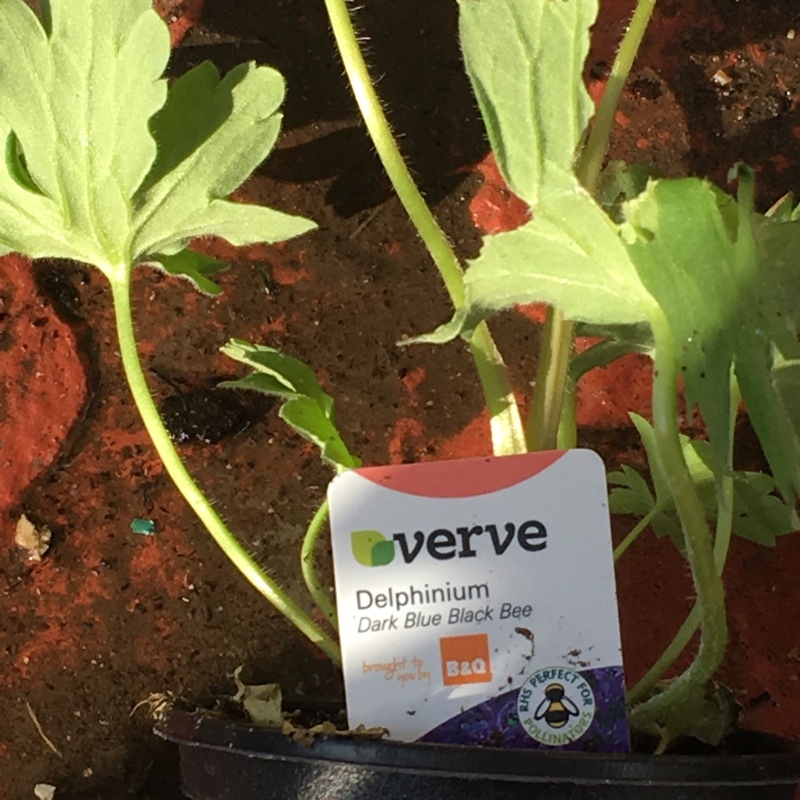 Buy as a potted plant at the nursery. 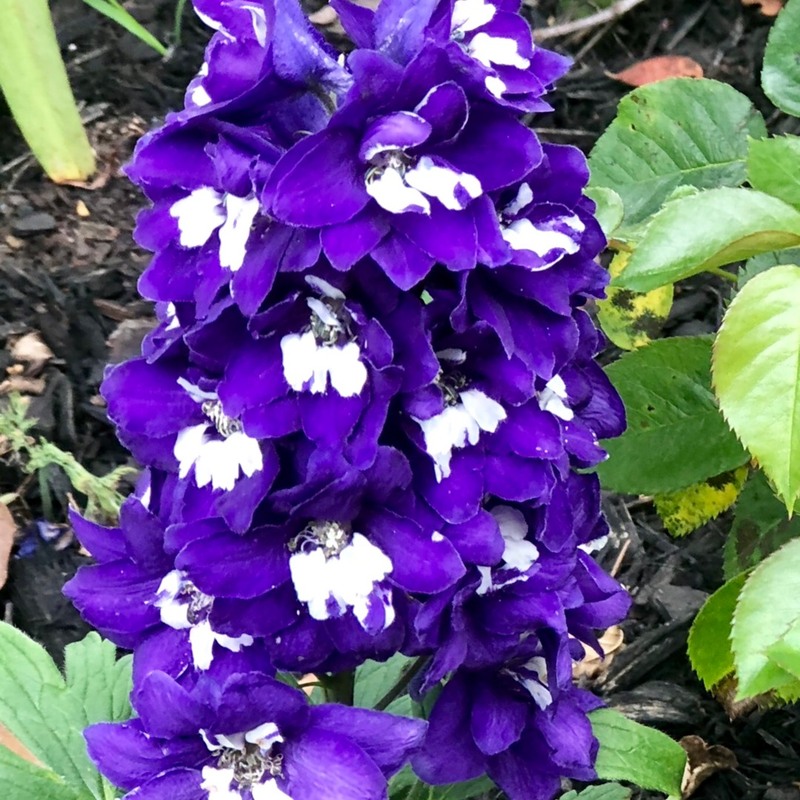 Plant in the spring. 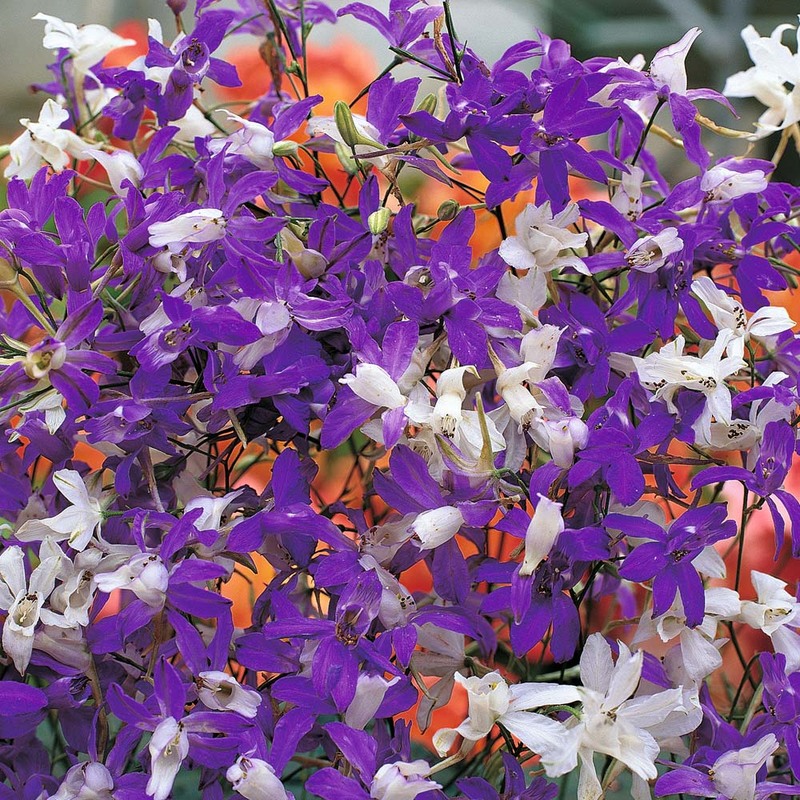 Prepare the soil, mixing in 2 to 4 inches of compost. 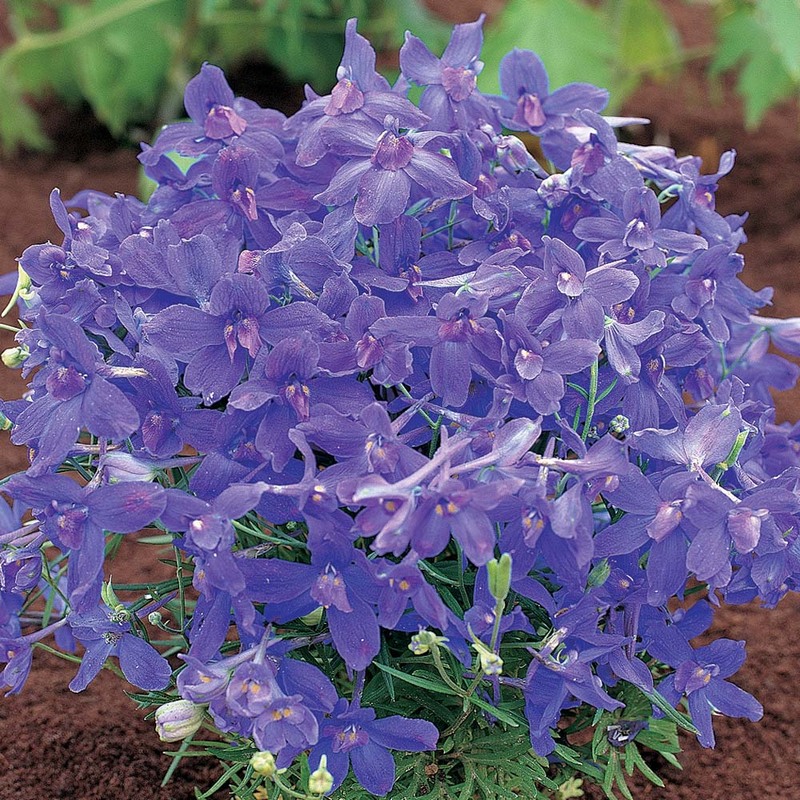 Dig a hole twice the diameter of the plant’s container. 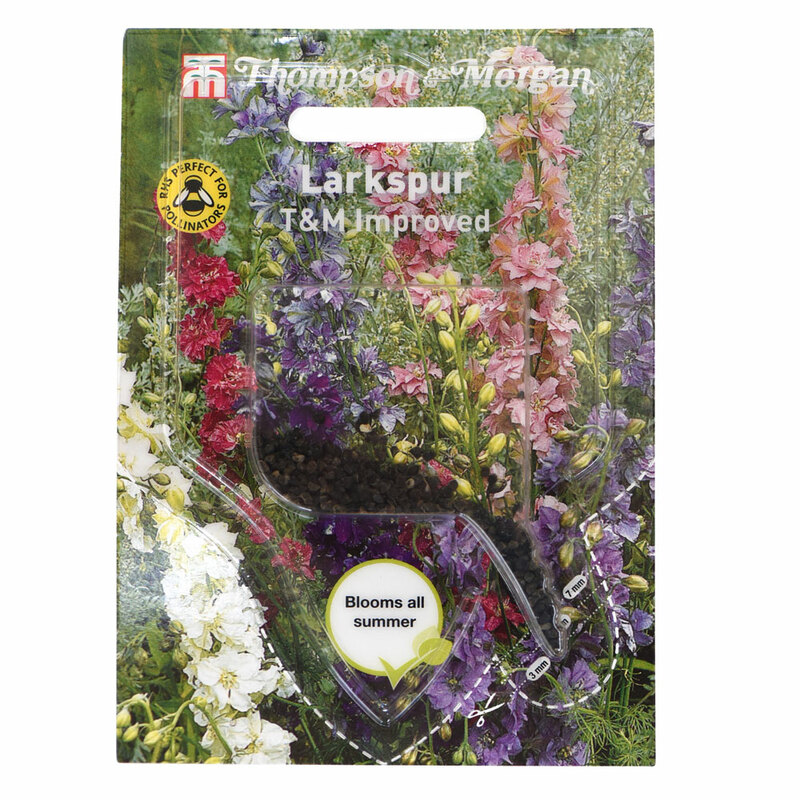 When planting, ensure that the top of the root ball is level with the soil. 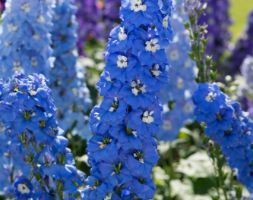 Insert supports no later than midspring or when the plants reach 12 inches high. 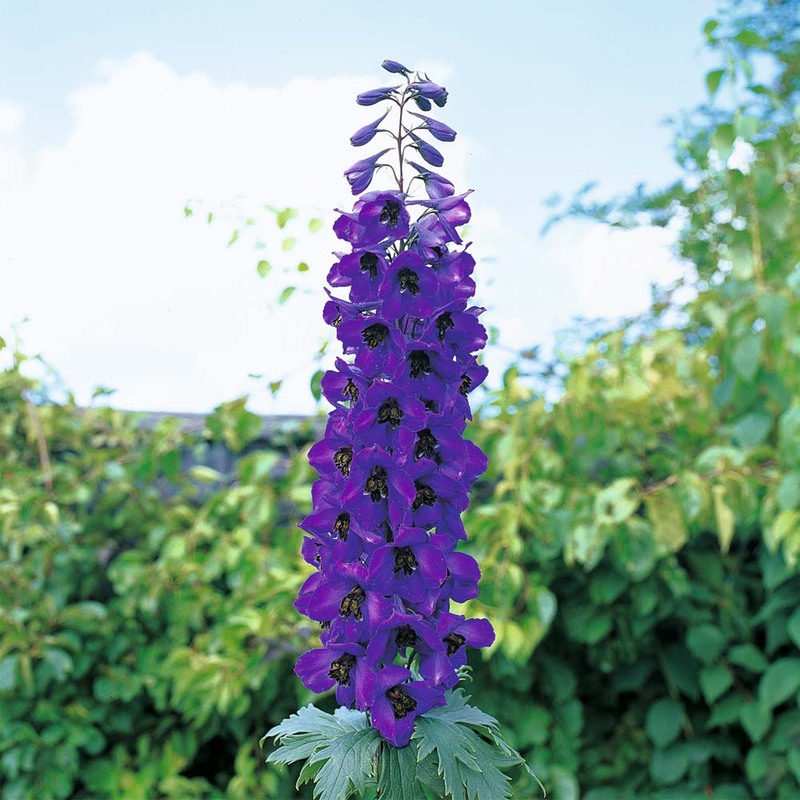 Stake the low-growing perennials with twiggy, brushwood support. 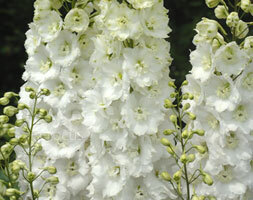 The taller, large-flowered delphiniums need sturdy stakes. 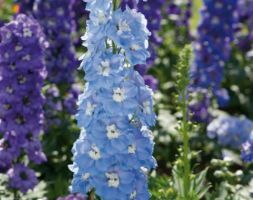 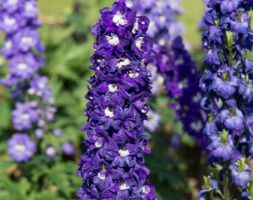 Delphiniums are perennials grown for their showy spikes of colorful summer flowers in gorgeous shades.